I had very little time in London on one of my trips but sure made the most of it. 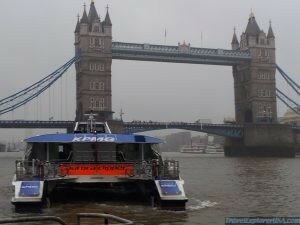 It was raining but I got into a Thames Clipper (fast river boat), stayed warm and dry while watching one landmark after another go by. 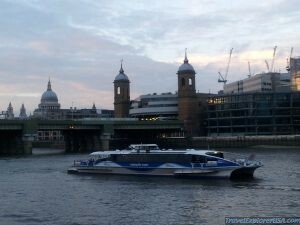 You can really see a lot by just taking a ride in one of these beautiful Thames Clippers. I started from the Emirates Air Line (which is a cable line that goes across the Thames River), with an aerial view of London. It is a beautiful view if you don’t mind the heights. 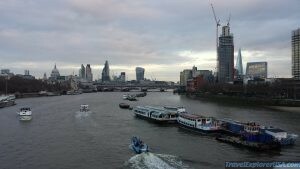 I then took a Thames Clipper to London Eye. Worth every penny spent! Once you get off at the London Eye, you can walk across the Westminster Bridge to Big Ben. You can take all the photos from the Westminster Bridge with the Big Ben and the Parliament buildings in the background. Walk a little further and visit the Westminster Abbey. It is gorgeous. 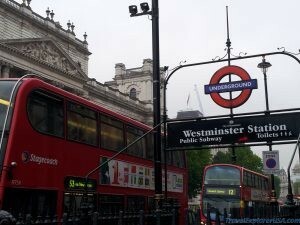 There is an Underground Tube station (Subway Train) nearby that will hustle you to your next destination. 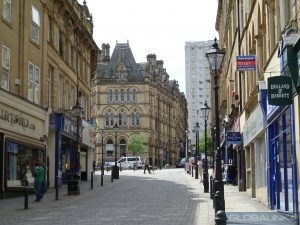 It is lovely to just stroll through the streets of Halifax with all the beautiful Victorian architecture! 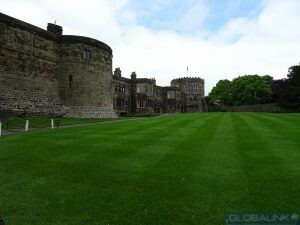 Beautiful Norman Castle in North Yorkshire, England. Beautiful green country side with lovely sheep! The locals are friendly and you can experience the small town feel of Skipton.